For over 17 years Halo has been trusted with servicing well over 200 entertainment and hospitality venues across New South Wales since the company’s inception. Our growth and longevity can be attributed to our industry-tested ability to consistently provide professional and innovative services, ensuring our clients’ brand and assets always remain protected. We specialise in the Licensed Premises and Hospitality sector, which is a dynamic and ever changing environment that requires a particular set of skills and knowledge-base. 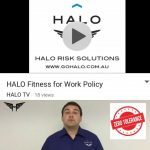 ©2017 HALO Risk Solutions Pty Ltd. All rights reserved. Master Lic 410 572 044.